These sibling quotes and sayings will have you reminiscing about your family members in no time. Most folks believe that those who have siblings are luckier than those who don’t. Your siblings may turn out to be the best friends you could ever find. They know you better than anyone else, and you can always rely on them. 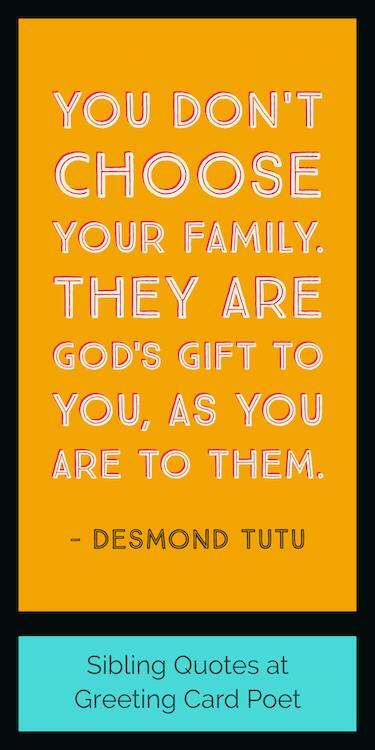 Even the most accomplished and famous people have acknowledged the importance of having a brother or sister. In fact for many, the more you have, the better it is. 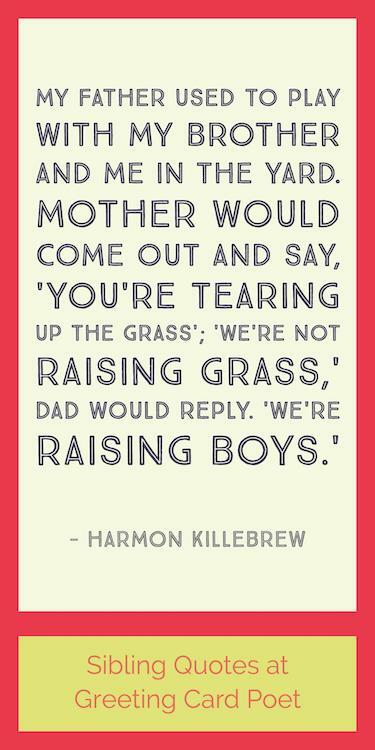 Here are some funny and lovely sibling quotes that will help you realize why these relationships matter so much. Siblings are the people we practice on, the people who teach us about fairness and cooperation and kindness and caring quite often the hard way. If you have a brother or sister, tell them you love them every day-that’s the most beautiful thing. I told my sister how much I loved her every day. That’s the only reason I’m OK right now. There is a little boy inside the man who is my brother… Oh, how I hated that little boy. And how I love him too. Brother and sister, together as friends, ready to face whatever life sends. Joy and laughter or tears and strife, holding hands tightly as we dance through life. I feel very much like I want to be with my brother and sister again. They’re nowhere. I know they’re nowhere and they don’t exist, but if nowhere means that’s where they are, that’s where I want to be. 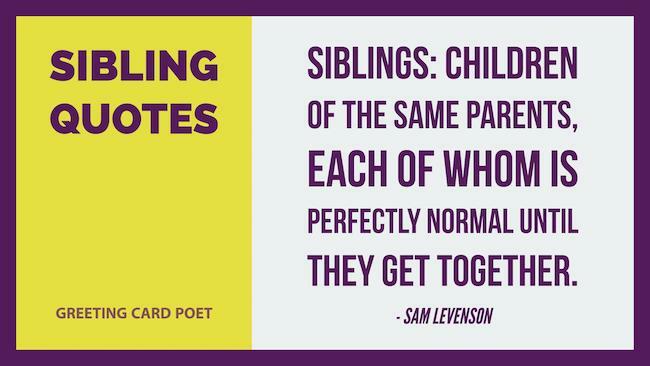 Tip: Use these sibling quotes as captions on Instagram and Facebook. The strange part about a person’s lack of trust is that it often comes from not trusting themselves. I left my family, and I left my brother and sister, and I went and lived my dream. I saw everybody, but is it ever enough? It’s especially difficult when siblings leave the nest and grow into their own person, often apart from other siblings and parents. The ones we shared so much with growing up we suddenly have nothing in common with, it seems. It has been said that blood is thicker than water. I hope that will prove true to us in time. I know it’s a cliche, but the whole family is just whacked. I mean, we’re all out of our minds. They’re the funniest, most eccentric bizarre people I’ve ever met, my siblings. Dana Carvey – check out Dana’s Twitter account. A sibling represents a person’s past, present, and future. You’re on Sibling Quotes and Sayings page.